Reed & Thomas Electrical Contractors, Inc.
Reed & Thomas Electrical Contractors, Inc was established in 1990 by Stephen Reed and David Thomas. 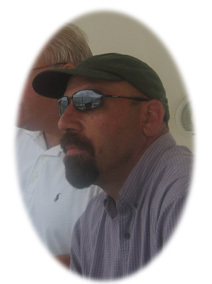 Today, the business is solely owned by Stephen Reed who has 30 years of experience in the electrical field. Our management staff along with our employees have a strong work ethic and pride ourselves in completing all projects in a timely and profesional manner. Reed and Thomas is a full service electrical contractor providing Commercial and Industrial services including design, installation, service and repair across the Metropolitan Baltimore area, including Baltimore City, Baltimore, Howard, Harford, Carroll, Frederick, Anne Arundel and Prince George's Counties. 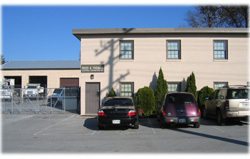 We are located in Hampstead, MD and our facility includes office and warehouse space as well as a storage yard. We own all the necessary equipment and electrical tools to complete all phases of electrical construction. 30 Years experience in the electrical field. Reed & Thomas is a member of the Baltimore Metro Chapter of the Associated Builders and Contractors, Inc. Focusing on Safety and Employee development. We are proud of our Journeyman graduates and our Apprentices currently enrolled in ABC's Master Electrician program. 25 years experience in the electrical field. 22 years with Reed & Thomas. Over 10 years with Reed & Thomas. 20 years experience in business management. 6 years with Reed & Thomas. 20 years experience in the construction industry. 20 years of accounting experience.